Colorado Mastiff Rescue View other Mastiffs for adoption. 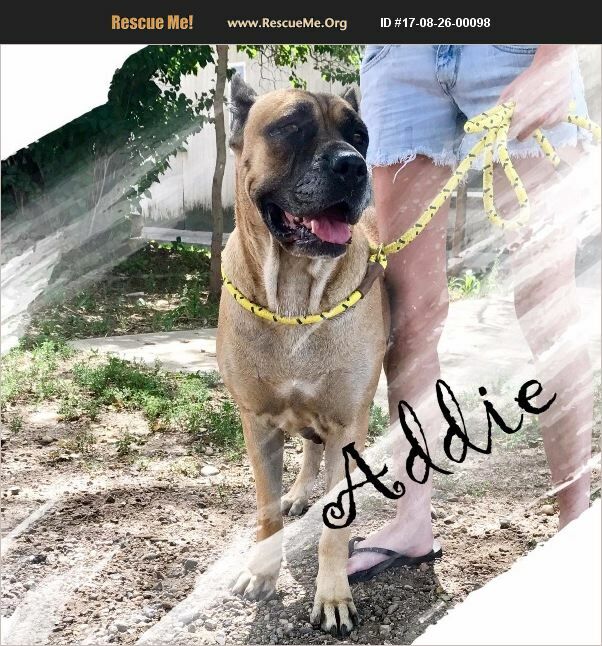 Addie is a 5 year old, female Cane Corso. She's a very sweet girl and does well with most male dogs. Addie came to us pregnant and had 11 puppies, all of which passed away shortly after birth. She is currently in Windsor awaiting a forever home. Her adoption fee is $350.